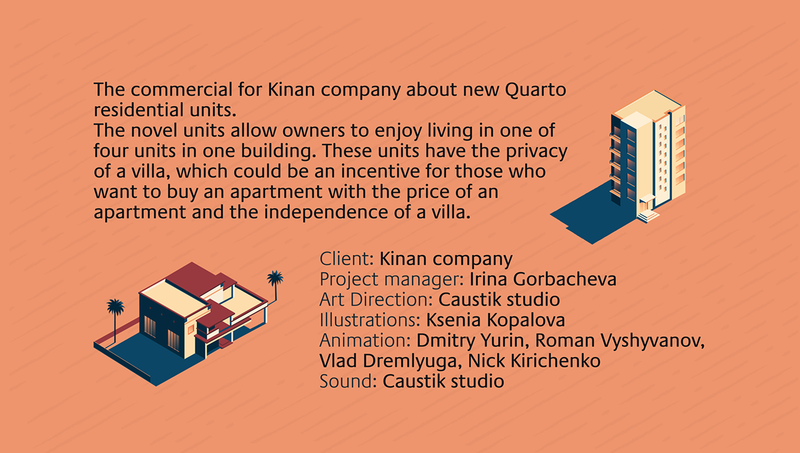 The commercial for Kinan company about new Quarto residential units. The novel units allow owners to enjoy living in one of four units in one building. These units have the privacy of a villa, which could be an incentive for those who want to buy an apartment with the price of an apartment and the independence of a villa.